Casted by ODPixel and Capitalist, the TI5 All Star Match was a unique experience, filled with many surprises and much fanfare. With an audience chosen 10 vs. 10 setup and teams comprised of five stars and five fans, the TI5 All Star Match was incredibly action packed. The biggest surprise of the evening occurred when the Pudge cosplayer chosen from the audience to play by Puppey’s side on Team ChuaN ended up being Danil “Dendi” Ishutin. In an epic comeback, Team BigDaddy/N0tail won the TI5 All Star Match. 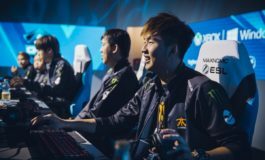 The TI5 All Star Match between Team BigDaddy and Team ChuaN wrapped up the fourth day of The International 5 in a spectacular manner. 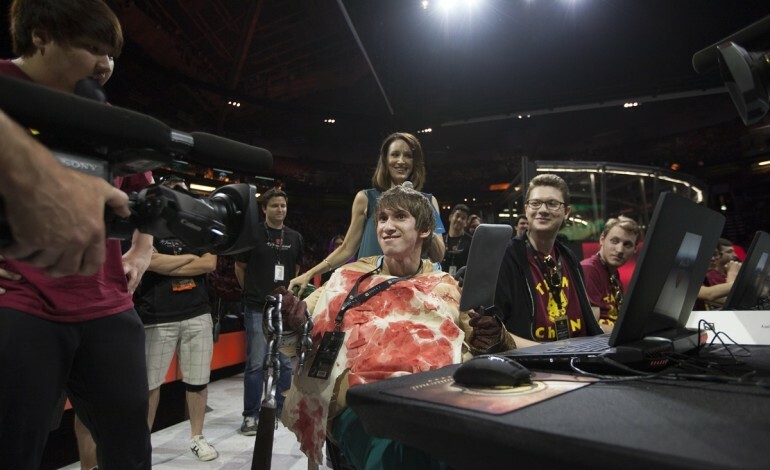 Having been hyped up all day by many Dota 2 personalities, including Kaci Aitchison, as something to not be missed, many fans were ready for an unveiling of the long awaited hero PitLord. Instead, the reveal would be of a 10 vs. 10 reborn game mode to include the two already selected teams of professional players and another 10 randomly selected players from the audience. Sections of the audience were announced and highlighted, then audience members were selected by Wong “ChuaN” Hock Chuan and Johan “BigDaddy” Sundstein in alternating turns. The last one of Chuan’s fan selections was a Pudge cosplayer, who enthusiastically showed up on the stage ready to play and would be seated next to Clement “Puppey” Ivanov. Upon removal of his mask, it was none other than the true face of Pudge, Danil “Dendi” Ishutin, sweating profusely from under his costume. The crowd went wild to see that the beloved Ukrainian would be indeed playing in the match, a presence that was missed in the announced lineup. In a very chaotic and obviously action packed, carnage filled game, ODPixel and Capitalist did their very best to not miss any of the action and continue to deliver the same caliber of hype and detail customary in their casts. 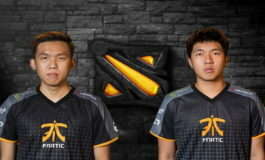 Team Chuan took an early lead with Dendi playing Pudge, but Team BigDaddy/Notail began to catch up and eventually secured a full 10-man wipe on their opponents. Thanks to Syed Sumail “SumaiL” Hassan’s Tiny throwing enemies onto clusters of Artour “Arteezy” Babaev’s Techie mines, Daryl Koh “iceiceice” Pei Xiang tower diving snowballs, and several Divine Rapier’s on Chai “Mushi” Yee Fung’s Gyrocopter, Team Chuan was able to really pull ahead. In the most epic comeback of TI5, as Team Chuan was about take down the thrown, iceiceice kicked heroes into the fountain and saved the throne multiple times, allowing the omni knight to then use his ultimate to make it invulnerable. Once the base was cleared of enemies, Team Notail/BigDaddy just went straight for the base. Xu “BurNIng” Zhilei picked up a dropped rapier and with sumaiL having one too, they were able to take down the throne with ease and win the game. With over 200 kills, 25 “GG” being called by arteezy, plenty of all chat flaming, an epic comeback and an intense gaming winning base race, this match could not have been any better planned, sealed and delivered if Valve had wanted it to be. The 10 vs. 10 game mode will be released next week for the public to play and all custom games will now be able to field 24 players. TI6 PLEASE INVITE ALL THE TI’S CHAMP! !